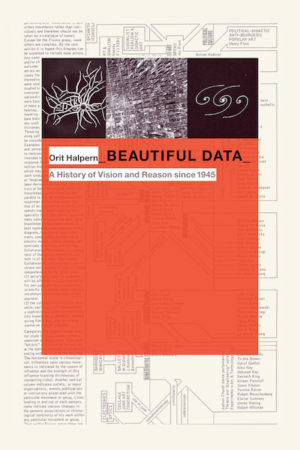 Beautiful Data is both a history of big data and interactivity, and a sophisticated meditation on ideas about vision and cognition in the second half of the twentieth century. Contending that our forms of attention, observation, and truth are contingent and contested, Orit Halpern historicizes the ways that we are trained, and train ourselves, to observe and analyze the world. Tracing the postwar impact of cybernetics and the communication sciences on the social and human sciences, design, arts, and urban planning, she finds a radical shift in attitudes toward recording and displaying information. These changed attitudes produced what she calls communicative objectivity: new forms of observation, rationality, and economy based on the management and analysis of data. Halpern complicates assumptions about the value of data and visualization, arguing that changes in how we manage and train perception, and define reason and intelligence, are also transformations in governmentality. She also challenges the paradoxical belief that we are experiencing a crisis of attention caused by digital media, a crisis that can be resolved only through intensified media consumption.